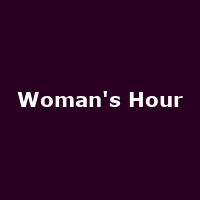 Woman's Hour are a four-piece from London (via Kendal), signed to Secretly Canadian. The band features Fiona Jane Burgess - vocals, William Burgess - guitar and Josh Hunnisett - keyboard. They released their debut single "Her Ghost" in 2014, taken from debut album, "Conversations", released n the same year, followed by the 2019 album: "Ephyra".